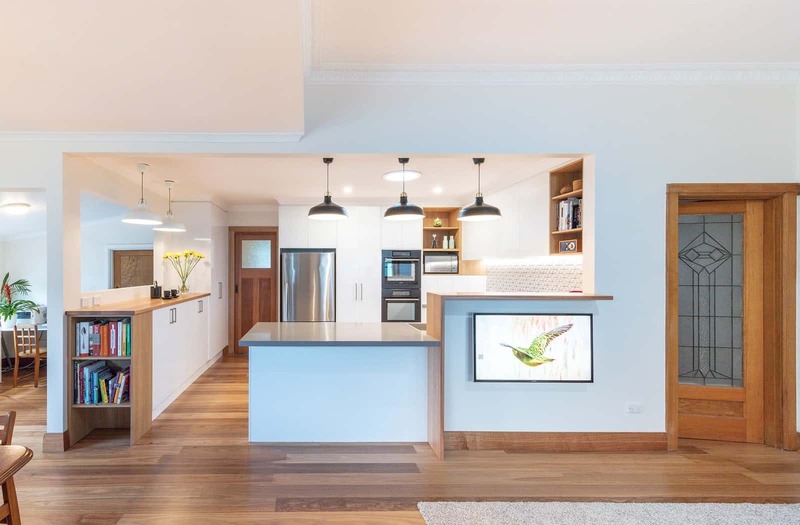 Looking for kitchen renovations in Burwood? Mint Kitchen Renovations is a family run business and we know how important it is to be able to have a kitchen renovation that is stress-free and even enjoyable. We’ll provide a step by step guide through the concept and design process. Keeping you informed on all aspects of the project so you there are no surprises along the way. We’ll tailor the layout to meet your needs and give you plenty of styling options, so your dream kitchen renovation comes to life. Our team of experts help you choose the materials to the appliances and our project managers make sure your job is completed on budget and in time. We believe a kitchen is the heart of the home and is often where your family spends most of their time. Providing a functional beautiful space that suits your lifestyle is key to the design process. Mint Kitchen Renovations Burwood can easily create a custom kitchen renovation for your family home. If you are looking for a kitchen renovation Mint Kitchen Renovations Burwood is your trusted local choice. With over 30 years of industry experience we are on top of the latest trends and products. Providing practical quality advice to all our customers from the get go, our team of experts are passionate about transforming your kitchen into a space you’ve always dreamed of. Soon enough you’ll be creating your own culinary delights and family memories from the heart of your home. Your functional, stylish new kitchen. Get in touch and with us today to get the ball rolling on a kitchen or bathroom renovation. Mint Kitchen Renovations Burwood can also design a custom bathroom renovation for your home. Every bathroom should have a feeling of luxury while also being functional. If you’re looking for Bathroom renovations in Burwood our expert team of designers can transform your bathroom into a oasis. Functionality and style is always top of mind for us and we’ll make sure your new bathroom renovation meets your needs. Find a bathroom renovation to suit your lifestyle and your budget. Our lovely kitchen showroom Burwood is located in the South East suburbs of Melbourne in Burwood on Burwood Highway near the intersection with Warrigal Road, not far from Penfold Mazda Burwood. We are conveniently located close to the South Eastern suburbs of Hawthorn, Camberwell, Glen Iris and Surrey Hills. We’re situated in the same strip of shops as Drummond Golf Burwood and Chinese restaurant Easy East and not far from the unmissable golden arches of McDonald’s Burwood. There’s parking out the front of our store and tram 75 runs right past. We’re close to Burwood Village Shopping Strip and all its wonderful shops and cafes. If you’re looking for kitchen renovations in Melbourne, we cover all areas including the Eastern and South Eastern suburbs of Melbourne. We offer award-winning bathroom and kitchen design, bespoke joinery and hassle-free renovations. Visit our kitchen displays and speak with our expert designers about your dream kitchen today.